In the theme of Valentines, I have chosen ‘Puits D’Amour which translates as ‘Wells of Love’’. A French classic pastry, which was first mentioned in a recipe book in 1735. Vincent De La Chapelle’s Le Cuisiner Moderne. The cake developed over time and it was Nicolas Stohrer who evolved it to be as we know it today. Puff pastry cases, filled with crème pâtissier and topped with a thick layer of caramel. Sieve the flour and salt onto a clean work surface, add the cubed butter into the centre of the flour. Using your fingertips, work the ingredients together until the mixture becomes grainy. Make a well in the centre and pour in two thirds of the cold water, mixing until the dough starts to come together. Add the remaining water, and form the dough into a homogenous mass that contains flakes of butter – do not knead. Wrap the in cling film and rest in the fridge for at least 30 minutes. Take the dough out of the fridge, begin to roll the dough to create a 60 x 30cm rectangle. Brush of excess flour with a pastry brush. Fold one short side over so that the rectangle lies at two-thirds of the length of the rectangle. Fold the other short side over this to make 3 layers. This is the first turn. Rotate the rectangle 90 degrees and roll out again. Repeat the process of folding the dough, this is your second turn. Rest in the fridge for at least 1 hour. Take the dough out of the fridge and make another two turns following the same process then rest in the fridge for at least 1 hour more. Repeat once more, thus giving six turn. Rest for at least one hour. The pastry is now ready to use. Put the milk and the vanilla pod in a saucepan and bring to the boil. In a mixing bowl, whisk together the egg yolks and sugar. Continue whisking until the mixture slightly thickens and turns light in colour, 2-3 minutes. Add the sifted flour and whisk again until smooth. Pour half the infused milk into the mixing bowl and whisk again until there are no lumps. Pass this mixture through a fine sieve (strainer), then return the mixture back to the remaining milk in the pan. Continuously whisk the mixture until it comes to the boil, then reduce the temperature to a simmer. Continue to stir and cook for 5-6 minutes. Take off the heat, Pour the pastry cream onto a shallow dish or tray, wrap with cling film (plastic wrap) and cool rapidly. Roll out the prepared puff pastry to 2.5mm thickness, dock well with a pastry docker or a fork. Place into the fridge to rest for at least 30 minutes. Pipe the crème patissier into the tartlet to the top and then level off with a small step palette knife. 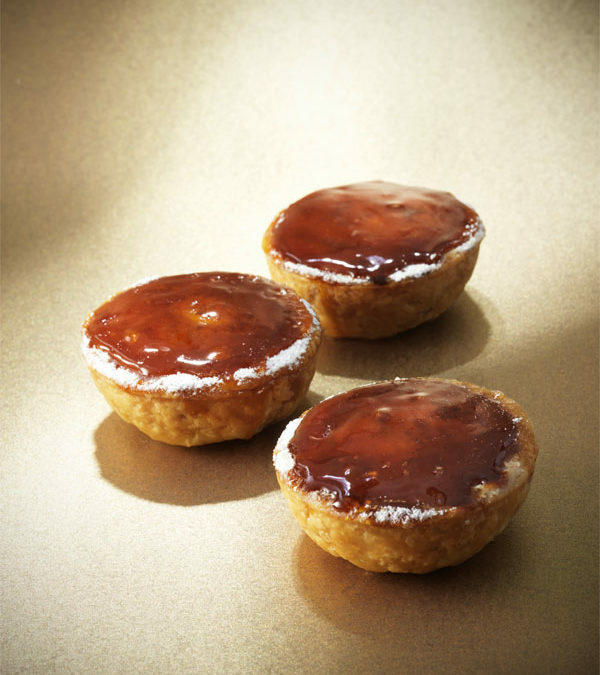 Dust the top of the tart generously with icing sugar and caramelise with a carameliser or under a grill. Repeat this process several times to get a deep caramel top. Dust the edge with icing sugar and serve immediately. 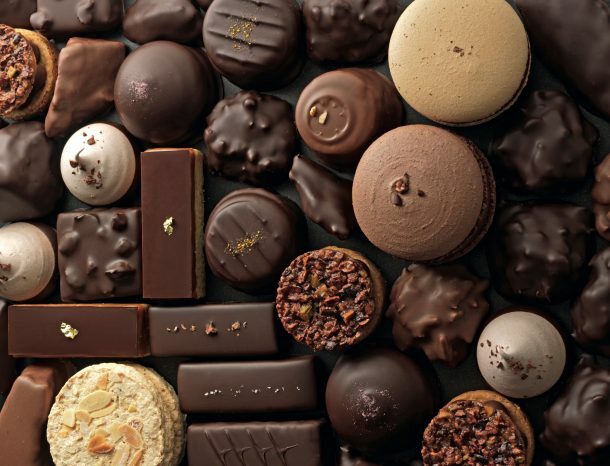 Join the Chocolate Post to receive the latest news, updates and recipes from William Curley.